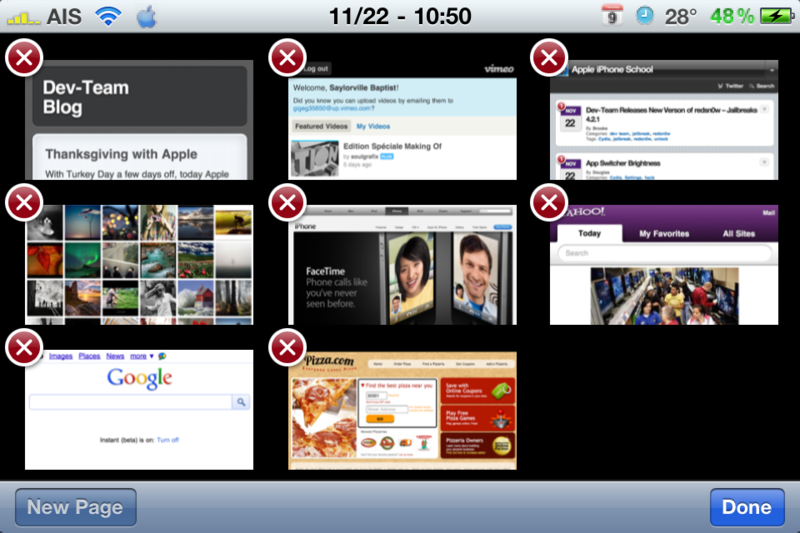 This simple hack displays multiple open tabs in Safari just like the iPad does. It works in both portrait and landscape but still only allows for 8 open tabs. On thing I’ve noticed that doesn’t work; when you hold your finger on a link and select “Open in New Page” it still opens in the existing page and not a new one. 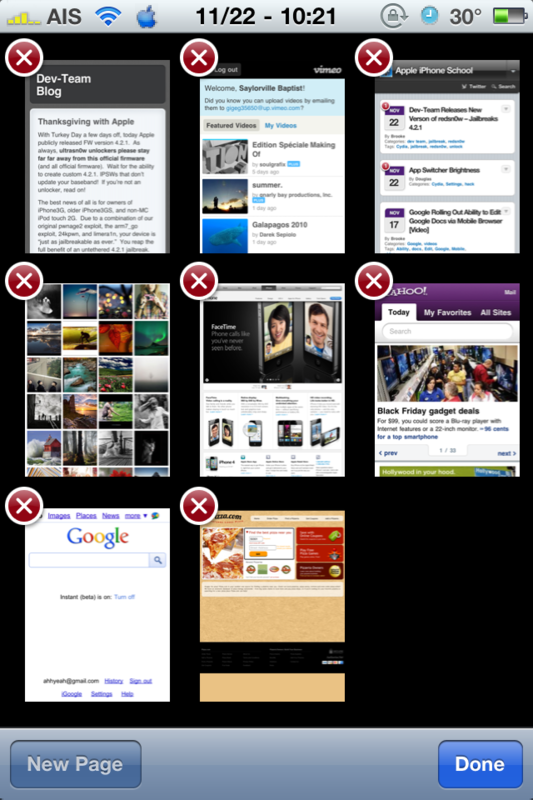 This hack is a little quicker than scrolling through all the open tabs in the normal view. cool. but how to use it, ??? does I have to hold finger on whatever for lil long time to active it?